There were several family members in attendance: my Aunt Melissa was in town from Dallas, and my Granny and Aunt Gwynne and Cousin Mae came too (along with my mom and Martha and Susie and Jamie of course). And there were so many sweet friends from our church who came to Mandi's beautiful house, celebrating with us the coming of our baby girl. Mandi and the hostesses (Hayley, Jesse, Amy, Anne, Ann, Bethany, Beth, and Sara) really outdid themselves! 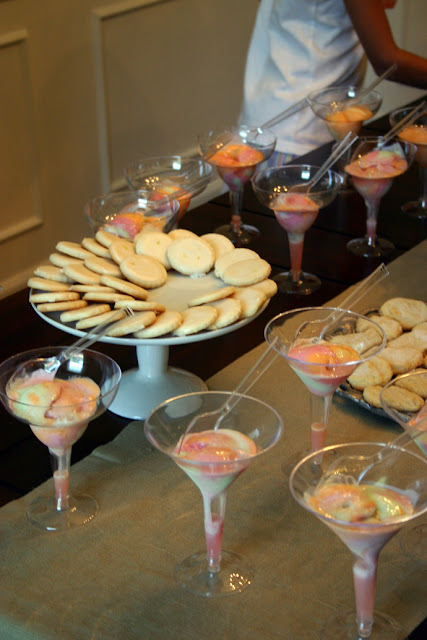 Rainbow sherbet and various kinds of cookies (lemon, shortbread) were the fare du jour. Mandi made those sweet fabric balls too, and Hayley did the runner. THANK YOU FRIENDS! It was a beautiful day I will never forget! love!!! 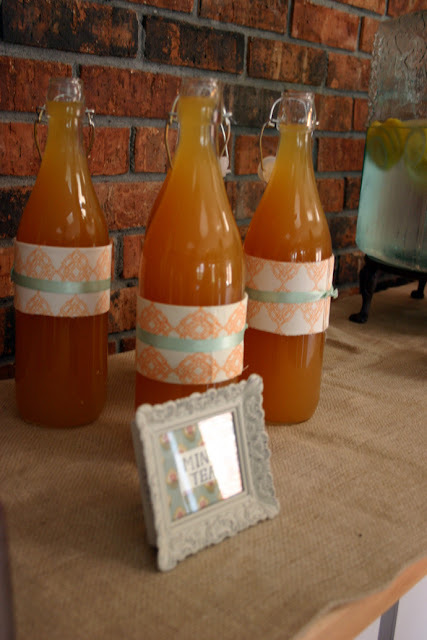 cannot wait to make those fabric poms...what about the garland in the dining room?? It turned out so....cute. Still bummed I missed out. PS. I don't know if Mandi gave you the story about her bib. I promise it wasn't dirty, it was stitch-witchery glue!! I couldn't get it off.